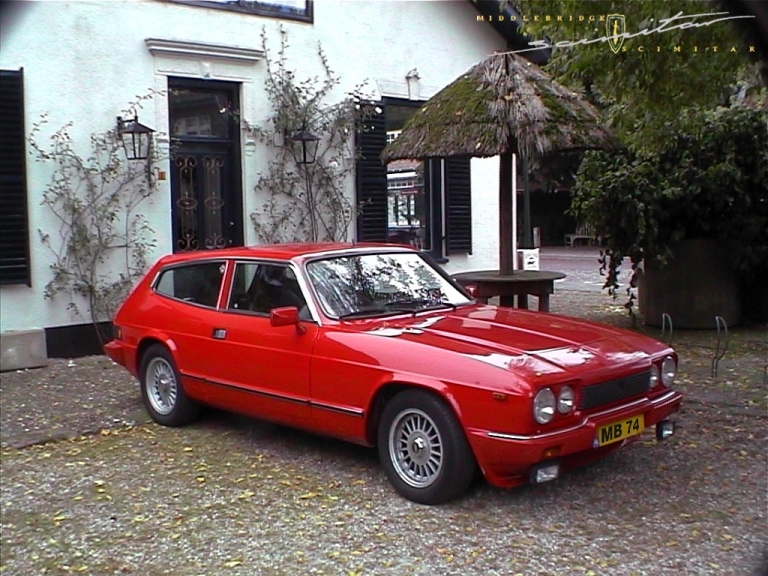 This car was sold via Geert Van Hout the Dutch Scimitar Specialist, and (Middlebridge European Distributor) This car was initially delivered to Italy and strangely never registered there?.. during 1991 Geert went to Rome and drove this car back to Holland where it was sold. The present owner purchased this car 07/06/97 and has used her on a regular basis ever since. [04.08] The young man in picture five is well known in MB circles, believe it or not it's Gary Lyttle!! [20-21 September 2014] We were delighted to see Harm and his car at the Middlebridge 25th Anniversary event at Gatcombe Park, Gloucestershire having driven to the event from the Netherlands.